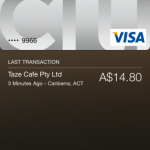 Does your bank card already support Apple Pay? The day after Apple Pay officially launched in the United States, Apple is out with the first support document for the service. Under the heading “Apple Pay participating issuers,” Cupertino explains the type of cards that currently work with the mobile payments service. 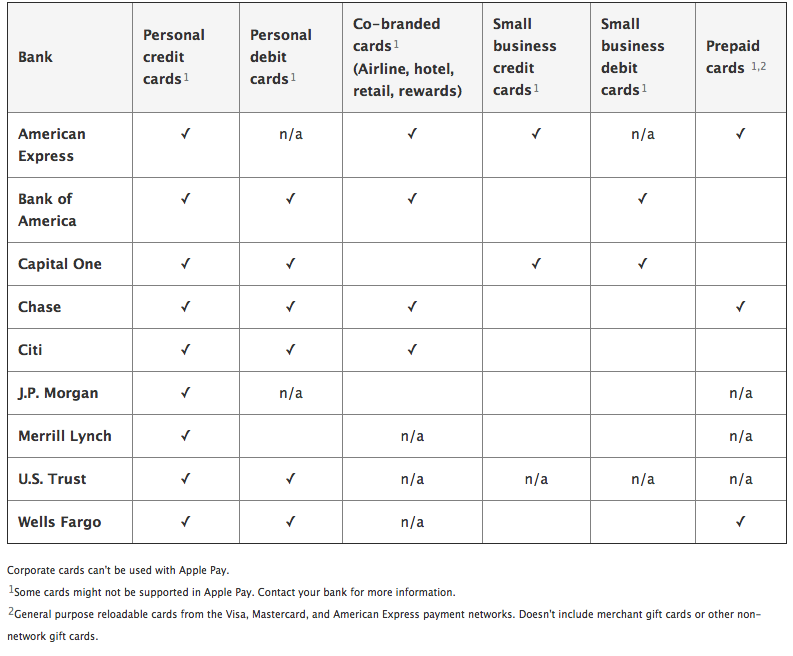 Apple Pay works with most of the major credit and debit cards from the top U.S. banks. Just add your participating cards and continue to get all the rewards, benefits, and security of your cards. 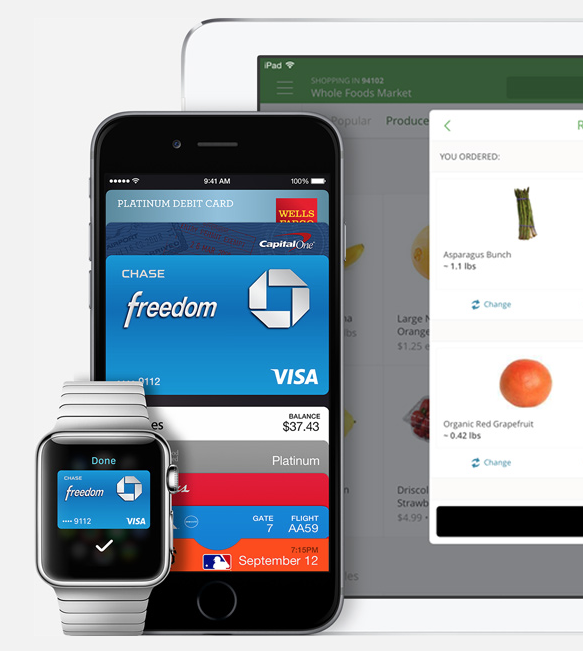 All of Apple Pay works on the iPhone 6, iPhone 6 Plus, and Apple Watch. 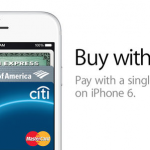 You can make in-app purchases with Apple Pay with the iPhone 6, iPhone 6 Plus, iPad Air 2, and iPad mini 3. For more information on Apple Pay, see: Apple Pay is already working abroad with US-based credit cards, An updated list of the merchants, cards and apps that accept Apple Pay, and Apple officially launches iOS 8.1, featuring Apple Pay, Continuity and more.